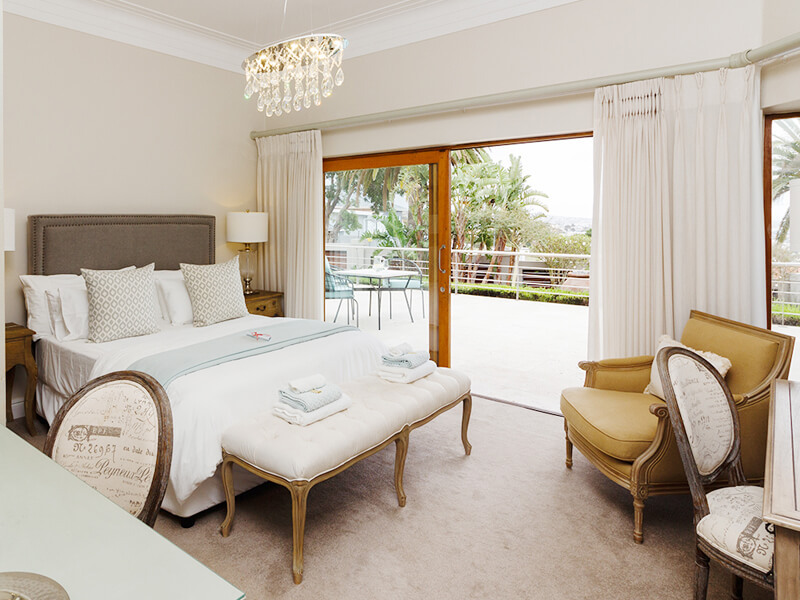 The Luxury Family Units have sliding doors onto a private patio with spectacular view of Nelson Mandela Bay. 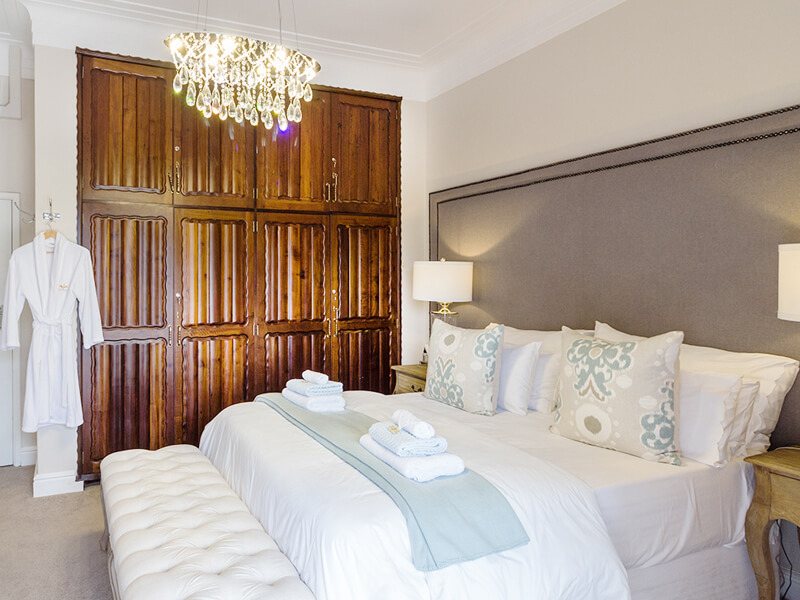 This Family Unit sleeps 4 adults with an extra length queen-size bed in each room with 400 thread count Egyptian cotton linen. 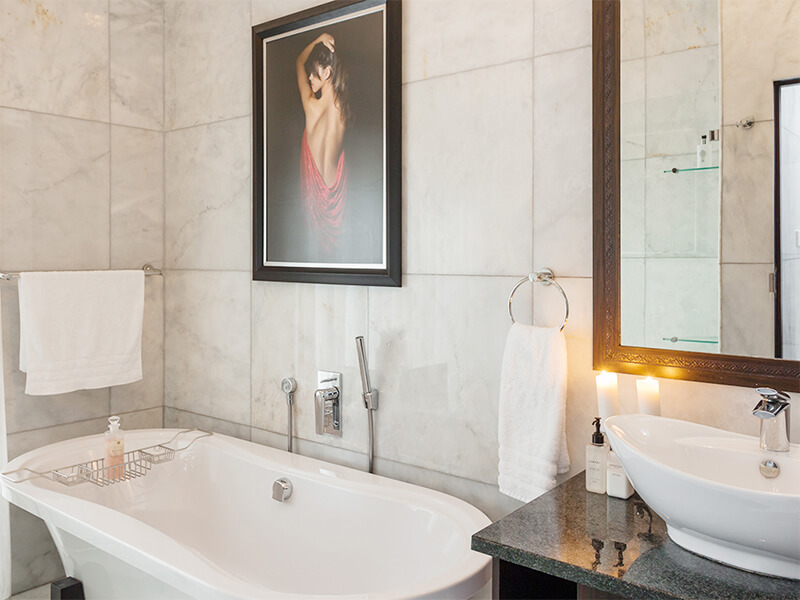 There is a private bathroom with bath, walk-in shower, vanity and separate toilet that is not on-suite but across the corridor for room occupants’ private use only. *Children under 6 years sharing with an adult stay for free. 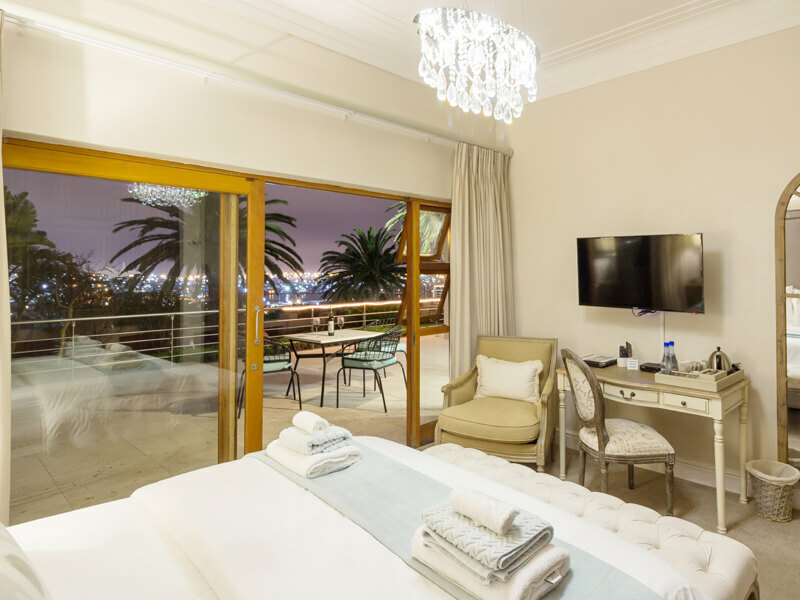 Children 7-12 years sharing with an adult pay R500 per night. *Older than 12 years pay adult rate.